Sweetest Day isn’t just for sweethearts, as it’s widely assumed, but is a day to make others feel special. It’s the perfect excuse to take the time to acknowledge those who have been kind or helpful to you, or those family and friends who brighten your life. It’s best enjoyed by celebrating others and doing something special for those you care about. Give a gift or send flowers to those who are sick, aged or alone, as well as to your friends, relatives and others who have touched your life. 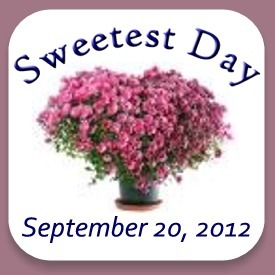 According to Wikipedia, Sweetest Day is mostly celebrated in the Midwestern US and around Cleveland, OH. It’s generally considered to be a holiday that was invented by candy companies to provide an excuse to sell more candy, and is derided by some as a “Hallmark” holiday. But we think the sentiment is admirable. There is so much rudeness and coarseness in our society today that we ought to be taking every opportunity to reach out to those who have added value and meaning to our lives and thank them in a tangible way. Even something small, like a card or phone call, can go a long way toward conveying your gratefulness to those important to you. What does this have to do with crystal figurines? 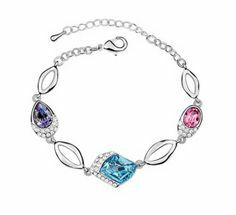 With a little imagination and brainstorming about a person’s special likes or dislikes, you can use Sweetest Day as an opportunity to give virtually any kind of gift. Need some ideas? Crystal figurines are enjoyed by everyone, especially when you consider the vast array of figurines available. Does your special person collect something? Chances are you’ll find a crystal figurine that reflects their passion. 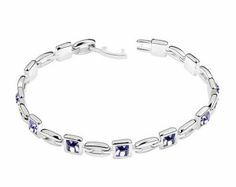 Visit CrystalWorld.com for ideas. Orders placed by September 18th can arrive by Sweetest Day (September 20th) via next-day shipping.